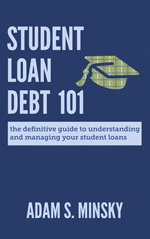 Share the post "Do Student Loans Have a Statute of Limitations?" But when it comes to student loan collections, understanding the statute of limitations can be challenging. How long does a lender have to sue someone to collect on student debt? The length of that limitations period – and whether there even is one – depends on a number of key elements including the type of student loan, the status of that loan, federal law, state law, and the loan’s history. It can be complicated; let’s break it down. Federal student loans are easy. That’s because there is no statute of limitations on the collection of federal student loans, pursuant to federal law. In essence, these loans do not expire, and they do not ever become uncollectible simply because of the amount of time that has passed. Even if there’s been no activity on the loan for years, the government and federal student loan guarantors can continue to pursue borrowers for the rest of their lives. So if you have a defaulted federal student loan, it’s generally better to address it, rather than ignore it and hope it goes away. For private student loans, it’s a lot more complicated. 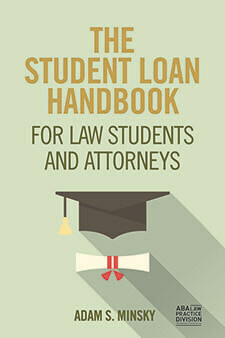 Most private student loans are subject to a statute of limitations. But the statute of limitations for private student loans is determined by state law, and states can have wildly different limitations periods. Some are as short as three years, others can be 10 or 20 years. Many fall somewhere in the middle. In some cases, there might be multiple states – and multiple statute of limitations periods – at play. The state where the borrower currently lives and where the lawsuit is filed would certainly be relevant, but the loan contract itself may contain a provision that says a different state’s law governs, regardless of where the borrower lives or where the lawsuit takes place. If there are multiple conflicting statutes of limitations, a judge may have to decide which limitations period should apply. The statute of limitations period for student loans generally starts “running” (meaning the clock starts ticking) when the loan has gone into default, although this can vary from state to state. Certain actions can “freeze” or pause that ticking clock (this is called “tolling” the statute of limitations) – for instance, going into bankruptcy, or living abroad, can stop the clock in some states. Other actions – such as making a payment, acknowledging the debt in writing, or otherwise making a promise to pay, even after the limitations period has already passed – can restart the clock all over again, depending on the specific facts and state law. Credit reporting has its own unique rules involving time, and while people often confuse these time periods with the statute of limitations for debt collection, they are not the same thing. Federal law requires that in most cases, negative reporting of a debt must drop off a consumer credit report after seven years. That clock typically starts running when the first delinquency or default occurred on the debt at issue. So if you defaulted on a debt in 2013, the reporting of that debt to the credit bureaus would, in most cases, continue until sometime in 2020. But this seven-year limitations period for credit reporting of debt is completely independent of the statute of limitations period for collecting on that debt. For example, a federal student loan that defaulted more than seven years ago may no longer be appearing on your credit report; however, since there’s no statute of limitations on the collection of federal student loans, that debt is very much still active and collectible. Similarly, if you defaulted on a private student loan seven years ago but the statute of limitations in your state is longer than that, or if you did something that tolled or restarted the statute of limitations period, that debt could also still be collectible, even if it’s no longer being reported to the credit bureaus. Ultimately, it can be tricky to determine when and whether collection on an old student loan is time-barred, and in some cases, it can be so unclear that a judge has to make a ruling in the context of a collections lawsuit. 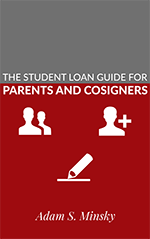 If you have an old defaulted student loan, it is generally a good idea to discuss the situation with a legal professional before making any assumptions about your rights and options.